The Magic Kingdom sheds new light on the cultural icon of "Uncle Walt." Watts digs deeply into Disney's private life, investigating his roles as husband, father, and brother and providing fresh insight into his peculiar psyche-his genuine folksiness and warmth, his domineering treatment of colleagues and friends, his deepest prejudices and passions. 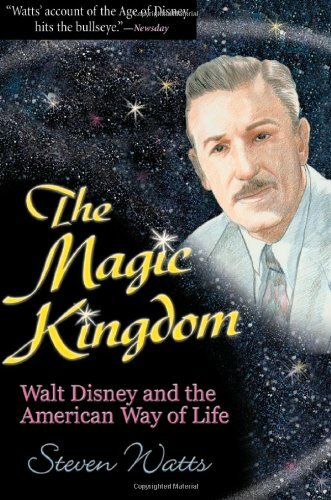 Full of colorful sketches of daily life at the Disney Studio and tales about the creation of Disneyland and Disney World, The Magic Kingdom offers a definitive view of one of the most influential Americans of the twentieth century.